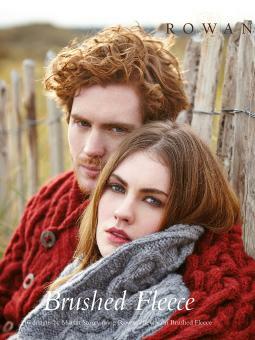 A collection of beautifully soft and featherweight Autumn/Winter knits for both Men and Women, using Rowans Brushed Fleece. These knits are all extremely light and cosy to wear, honing in on the outdoor trend-knits that are essential cover ups for cooler days spent waling in winter. The collection features 16 designs, cocooning wraps and shrugs, voluminous capes, sweater dresses, classic long and crop cardigans and soft cables, all in a richly-coloured dark winter palette.